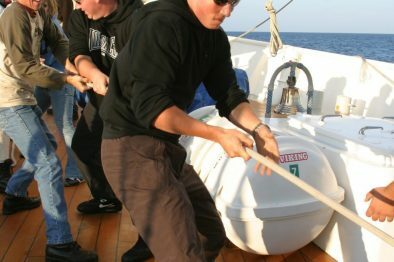 * Last places, only for men: contact info@windseeker.org to confirm availability * Atlantic Crossing during the Holidays. If you’re tired of the holiday season and want to find a way to celebrate in style, why not cross the Atlantic? This adventure will surely make it the holidays to remember. Enjoy sailing from Cape Verde to South America and cross sailing over the ocean off your bucket list. Open for all Windseekers, minimum age 15 years. You’ll be sleeping in 4 person cabins. Places in double cabins available for a surcharge of 19,50 euro p.p. per night. Can’t get enough of Suriname? You can book up to three additional nights on board after the journey for EUR 39,50 for bed&breakfast or EUR 49,50 for full board (prices per person per night). Palmeira is the third-largest town in Cape Verde, situated on the island of Sal, yet still has a small, village atmosphere. When you land in Palmeira you will have just completed an Atlantic Crossing, or at least a hefty 2700km sail south from Europe. Whilst resting in Palmeira, visit some bars and restaurants, or explore further to desert Oases, caves and beaches. 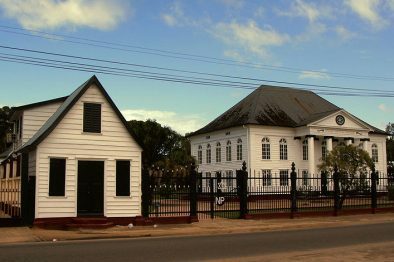 Paramaribo is the capital city of Suriname, at the northern coast of South America. Visit the busy Central Market for a local atmosphere and Saint Peter & Paul Cathedral-Basilica, Neveh Shalom Synagogue or the Suriname Mosque for must-see architectural attractions. Then stroll down the Blaugrond street and grab some delicious food in one of the many lively restaurants.